Distribute an article that gives timely advice to parents on how to foster math skill building in their child. Play tic-tac-toe, dots, checkers, dominoes, concentration, hangman,Scrabble, chess, and increasingly complex card games such as hearts, rummy,cribbage with your child. All involve problem solving and logic, and all arebased on mathematics. We have 12 shelves and we have to put 40 cans on each shelf. How many canswill we need? John works at a fast food restaurant and makes $6 an hour. If he works 28hours each week, how much will he earn in eight weeks? With a map of the United States, ask, "What is the shortest route fromPrinceton, New Jersey, to San Francisco, California?" Or from Boston,Massachusetts, to Madison, Wisconsin. Or have your child figure out how long itwould take to get to the homes of relatives and friends around the country -- orthe world -- by plane, train, automobile, or on foot. When you travel, make sureyou involve your child in planning travel routes. Ask, "How could we figure out how tall our house is?" What abouta local church, or the school? Expect your child to come up with manysuggestions for figuring out the height. Make up problems. For example: "It takes us 5 hours and 15 minutes toget to Aunt Siobhan's house if we average 55 miles an hour. How long would ittake if we went 60 miles an hour? How about 50, or 45?" The calculator should be very familiar to your child. Using a calculator,pick a number such as 109, then take turns adding a number from 1 to 8 into thememory. The objective is to see who can get to 109 first. This is a good mentalmath task and also another way to use the calculator. Multiplying three-digit numbers is common in the sixth grade. Children aretaught to think of the problem 422 x 396 in this way: 6 x 422, 90 x 422, and 300x 422. Another way to visualize it is: 422 396 2,532 (6x422) 37, 980 (90x422)126,600 (300x422) 167,112. Have your child work out the following problems (do them yourself at thesame time and compare your solutions with your child's): 508 x 183; 759 x 341;192 x 546. 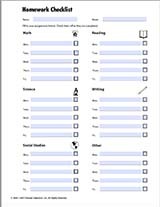 Reprinted from 101 Educational Conversations with Your 6th Grader by Vito Perrone, published by Chelsea House Publishers.